Our in-house Engineering Services division has involved with compactors manufacturing and other waste equipment for over 25 years. 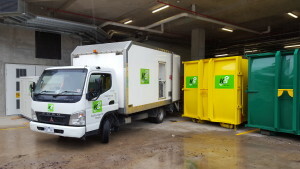 We have the capabilities and expertise to produce equipment such as compactors, lifters, tipplers and other site specific bins. Equipment can be tailored to suit a customer’s specific needs. Safety, Health and Environment (SHE) analysis and documentation. Variety of load options including chute fed, tippler fed, 240-1100 lifters. Fully enclosed transpackers (leak proof) in a range of sizes. The purpose and function of a compactor is to efficiently compact and dispose of large volumes of waste generated on a regular basis. What sizes & waste streams are available? The size of the container section can vary, with the typical capacity being 23 cubic metres. 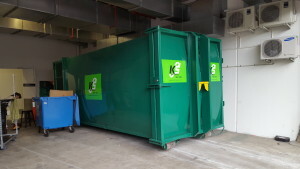 Compactors are effective systems for glass, cardboard, commingled and general waste streams. What is the difference between a Stationary Compactor and a Transpacker? 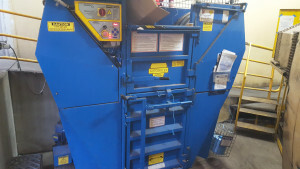 The Stationary compactor system is a unit consisting of a compaction head and container that compacts waste materials from the collection hopper into the container section. The Transpacker works in the same way but is a fully integrated unit that is much cleaner. The compaction bin of the Stationary system is removed for disposal of the compacted waste and returned to its allocated position for further compaction. In the case of the Transpacker, the complete unit is removed, waste disposed of then the unit returned.